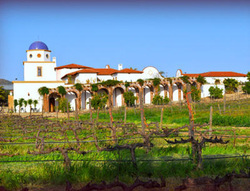 San Diego Winery Tours is your expert choice for brewery tours of San Diego and Baja regions. We started our tours in 2011 however we have been in business since 1972 as Five Star Tours by offering tours of the local region. Our tour focus is to have all participants enjoy and learn about our local wineries in a safe and fun way. All our tours are operated to utmost care with all the details taken into consideration. All tours are arrange and limited to include transportation, beer tasting, behind the scenes tour, tour guide and much more. Five Star Tours acts solely as the agent in arranging for and coordinating various services of other companies to create tour packages, including transportation, tour escorts, restaurants, admission tickets and other services. The persons or companies engaged in conducting those services are not employees of Five Star ToursTours, therefore, Five Star Tours assumes no liability for any loss, accident, damage, delay, inconvenience, expense or injury to you or any persons traveling with you owing to any act of default or negligence caused by any person or company engaged in providing those services, or by any strike, acts of Providence or other events beyond our control. We reserve the right to not allow anyone on board our tours. We reserve the right to cancel or alter any tour when circumstances require. By submitting your payment for any tour you are accepting these terms and conditions in their entirety. For more information, please contact us at 619.232.5040 .